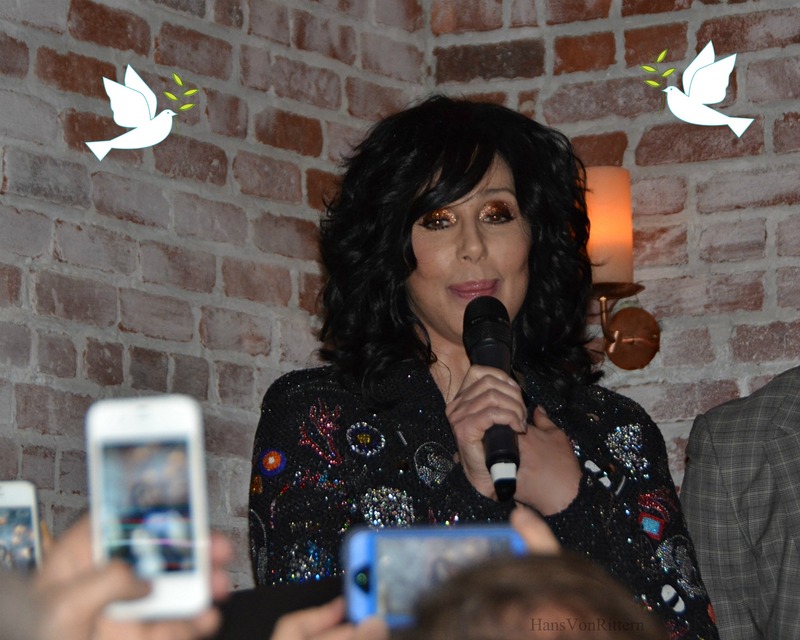 Photo of the day: CHER, THE OLIVE BRANCH AND HANS – After having written my now very much read criticism of Cher’s entrance and exit from the Letterman show, the article has caused some interesting reactions and or effects. Yes of course I got my haters and then – many agreed with me. It seems the article, via twitter, blog, Facebook, however, got to Cher’s people (!) and an olive branch was extended. 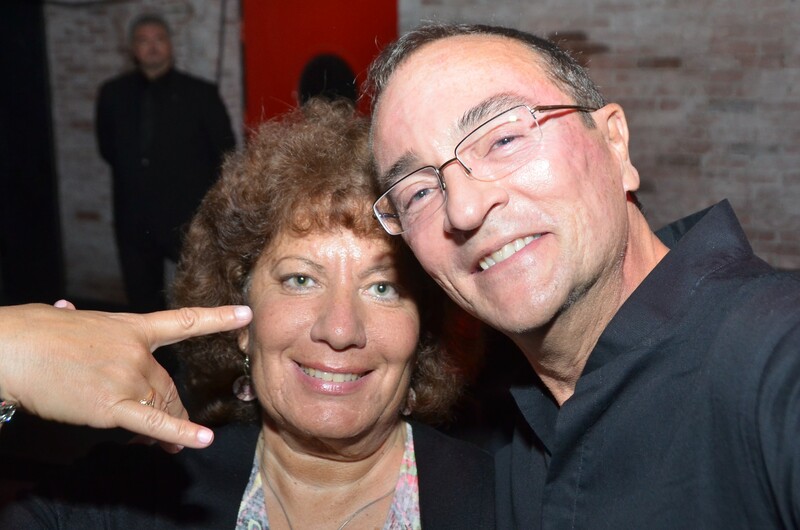 My olive branch was being “on the list” with my good friend Janet Novick to attend a private catered listening party for “Closer To The Truth” at the not opened yet Club Tao on West 16th Street. They were still painting the walls as we got there. 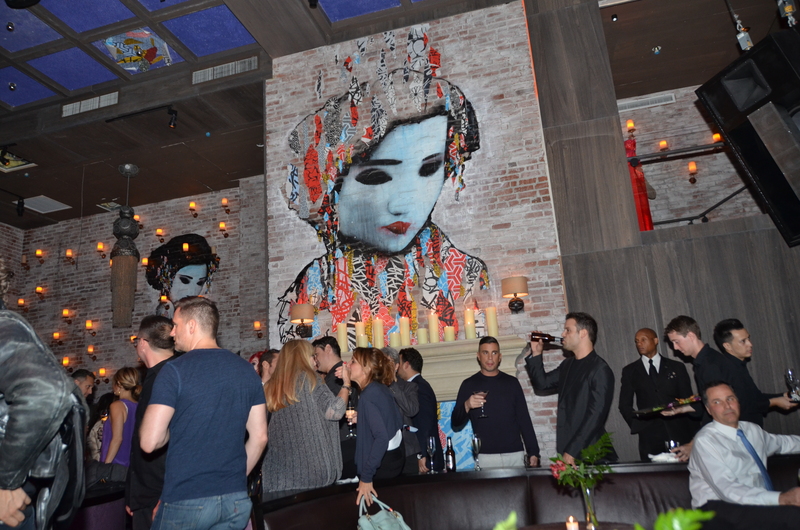 The club is a cross of 80’s feel seating, geisha girl murals painted on exposed brick walls, candles everywhere and quiet elegance. Hors d’oeuvre and champagne were free flowing. Drag queens were on the balcony above to dance to her music while the chosen few mingled below. Cher’s people, fan club members and friends who had read my article “Cher Distances Herself from Her Fans” insisted that the ‘distant’ Cher is controlled by Ebar, the head of her now over-the-top security team. “Cher is still the loveable Cher we all love, it’s her (relatively) new team!” everyone said. From having now studied the photos of Cher’s arrival at Letterman it is more and more obvious. Frenzy took over the room when Cher descended slowly down the stairs into the club. Janet and I went to see and noticed she, despite her heels, had gotten a lot taller – it was the damned good impersonator Steven Andrade who happened to love Janet. Steven adores Janet and called Janet ‘a celebrity in her own right’ so Steven/Cher wanted to take Janet and me to meet the real Cher, so she snuck us out of the club and into the underground garage where Cher was just about to arrive. There she was! A surreal moment: me, Janet, ‘tall Cher, the real Cher and a few of her security team, alone – in this underground garage. No I didn’t have my camera because it was all so sudden and the sight of my fancy camera might have whisked Cher away. So there we were the four of us. 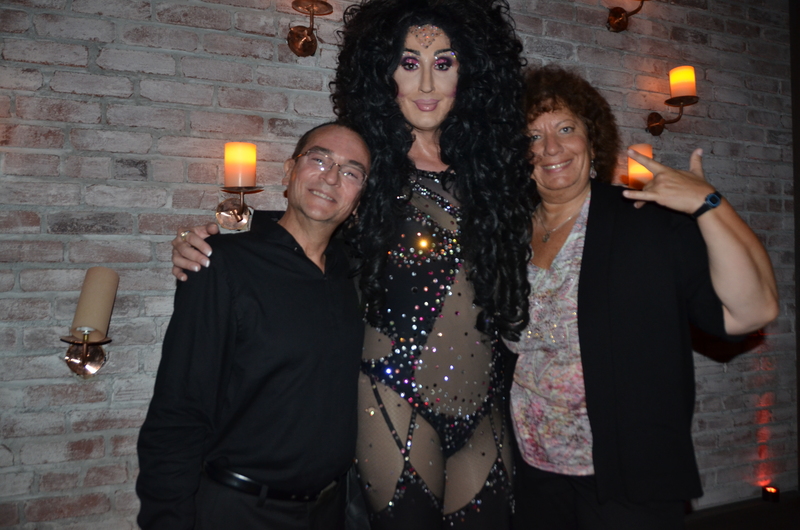 Hans, Janet, Cher and Cher! 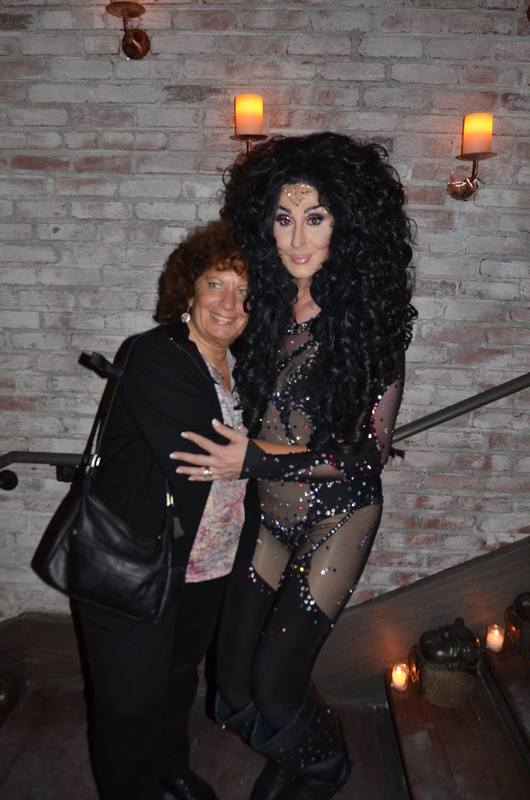 Cher laughed and said “You’re taller! 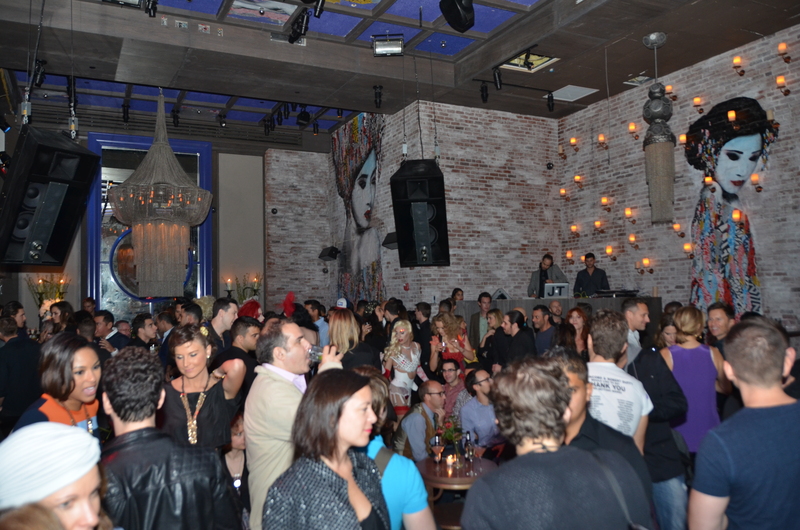 I like your outfit, you look good!” Smiled broadly and waved at us and entered the club. What a Cher/Cher moment!! Thank you dear Steven Andrade ! > Here is where I will amend what I have written earlier. 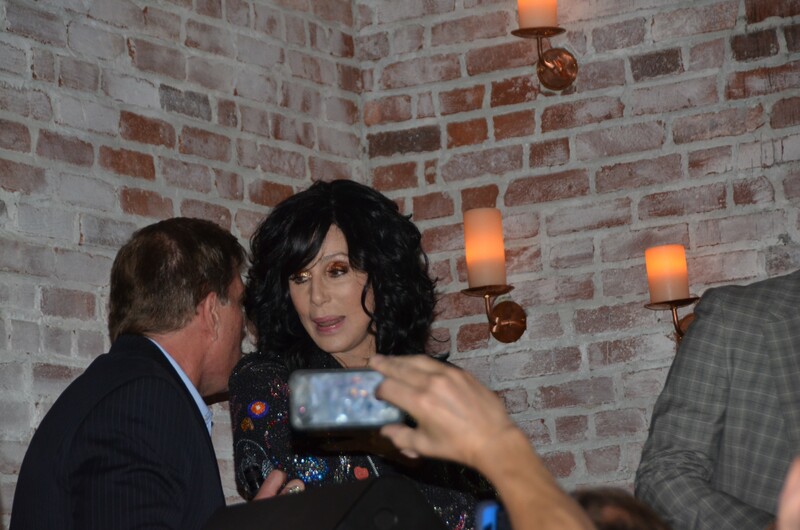 It is not totally Cher distancing herself from her fans. She is still as warm an fuzzy as ever and has a steel trap mind, remembering people on the spot that she had not seen in years and tries to reach out to them. > It is her security detail! < They barricaded her everywhere she moved. There was a ‘Believe’ record producer “Mike” who even had a hard time getting to her. We were about 150 privately invited, pre-screened guests and ~still~ the over the top security walled her off. 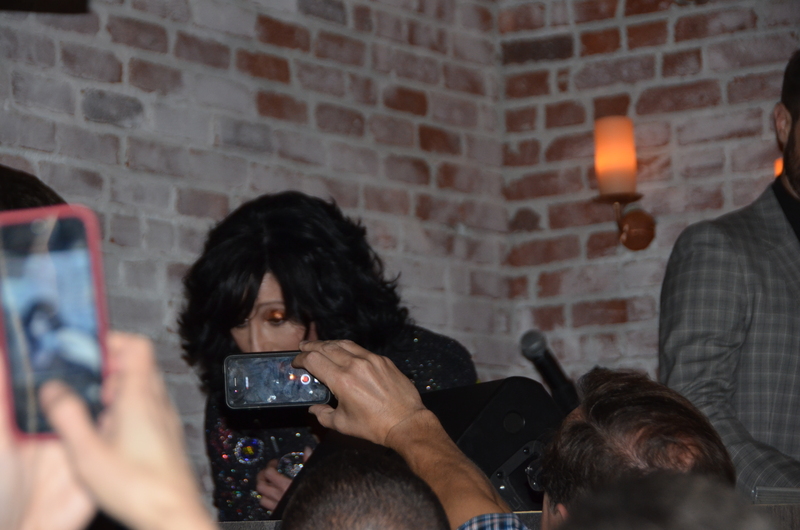 I watched her closely, Cher is still Cher, just as her team of fans insisted, she has just been walled away from us. 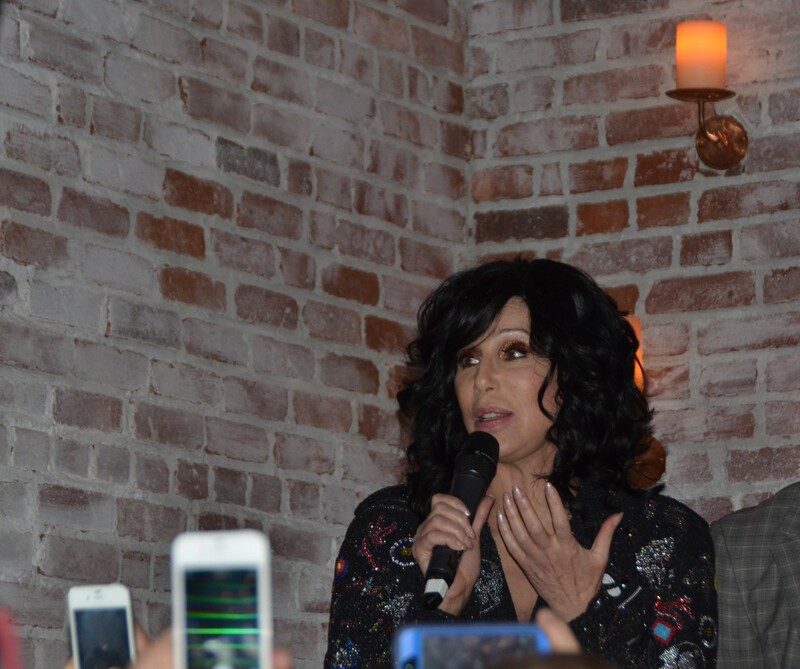 But – I will still argue, Cher should be a “strong enough” woman to say “I’m going over there, etc” and do so, but since she has put herself in Ebar’s hands, there is nothing we can do and we Cher fans will have to learn to accept her at somewhat of a distance now. 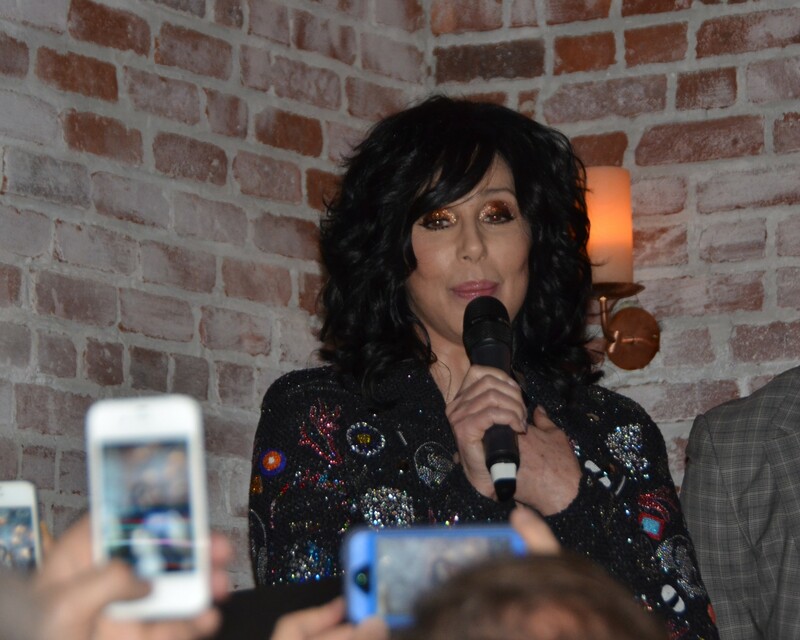 Ok – so I’m not “done” with Cher. 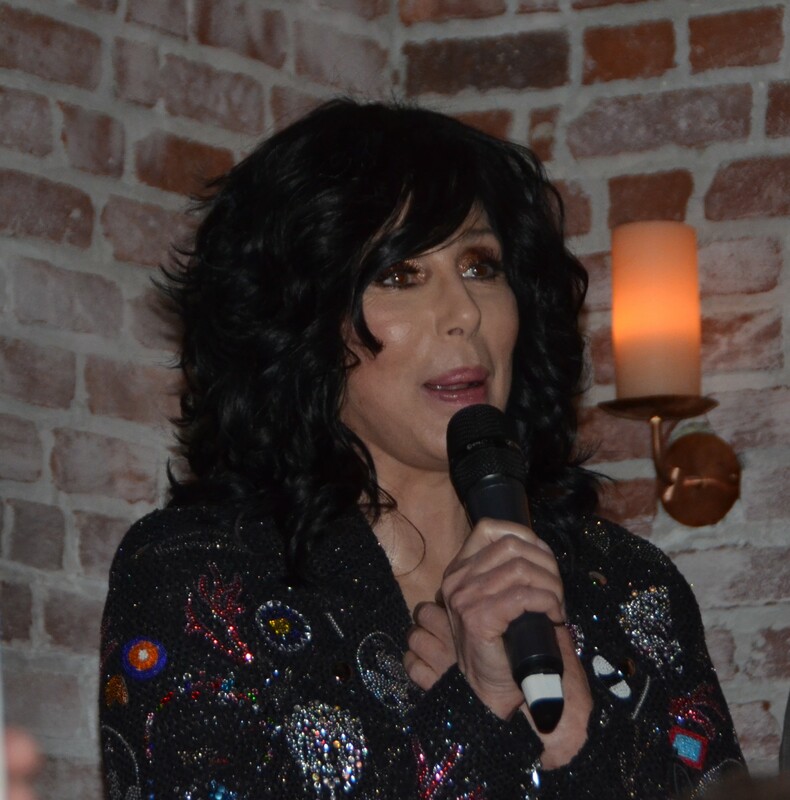 It is a sad loss of old ‘accessible Cher’, maybe she will get enough complaints, maybe she will eventually stand strong and see the light and look more to her fans at events. Maybe one day when she does the wheel chair tour, the security around her will have changed, Cher will never change inside. Cher now reaches out simply in the ‘new way’, a fast and furious opinionated tweeter. It’s a different age I’ll have to catch up to. Cher – I forgot to thank Tao? !